Don't panic! 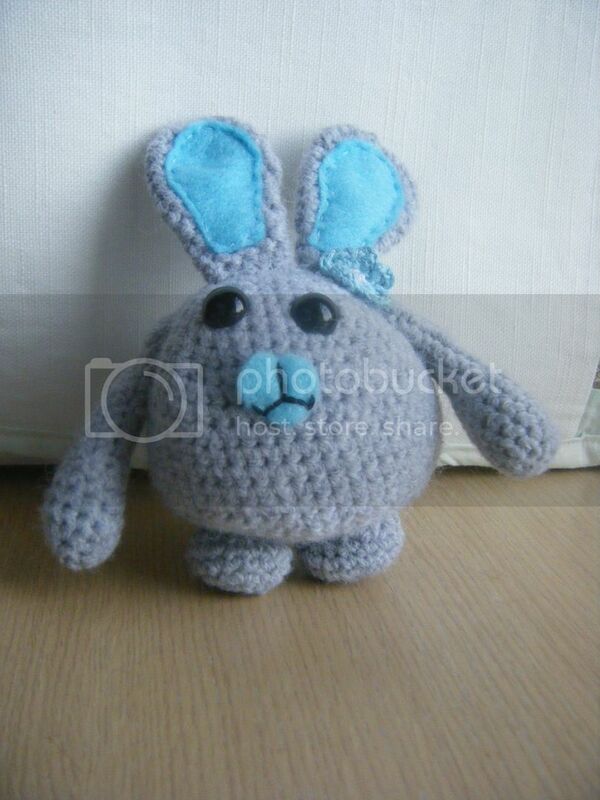 This isn't a sales post about my online shop Fat Bunny Designs (he he, see how I sneaked in a link there? ), it's a post about a... well a fat bunny! This fat bunny! I made her from a pattern purchased from Amigurumi Barmy by my FIL for Christmas. It's a well written pattern, in the sense that the pattern works really well, though the English leave a LOT to be desired. I can't help thinking that if you're going to sell your patterns you really should get them proof read. Incidentally, I'd be happy to provide that service for any pattern writers out there! 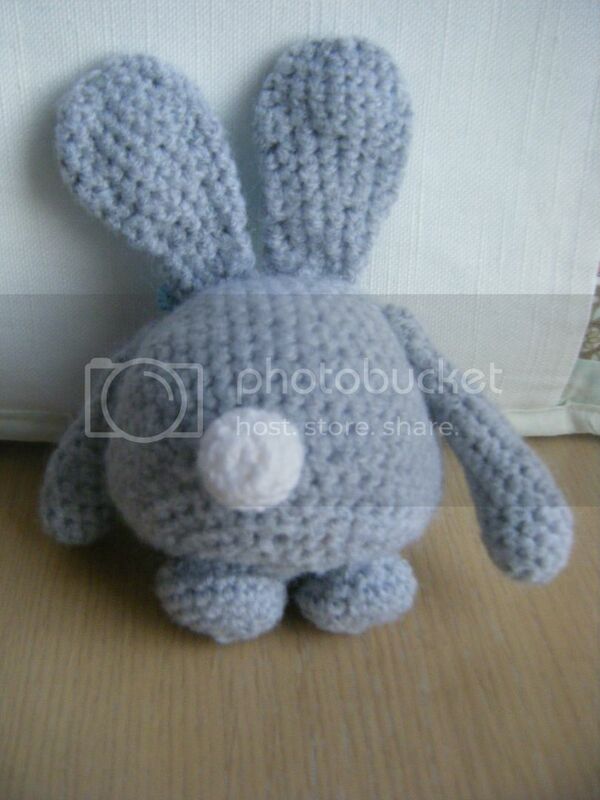 She's a diddy little amigurumi, about 5" high and has a lot of stuffing inside to make her nice and fat, just like my real-life bunny Tiff. I think I'll call her Mavis. Not Tiff, she's already called Tiff, I mean this other fat bunny. I did her ears, muzzle and flower in blue as I like blue. 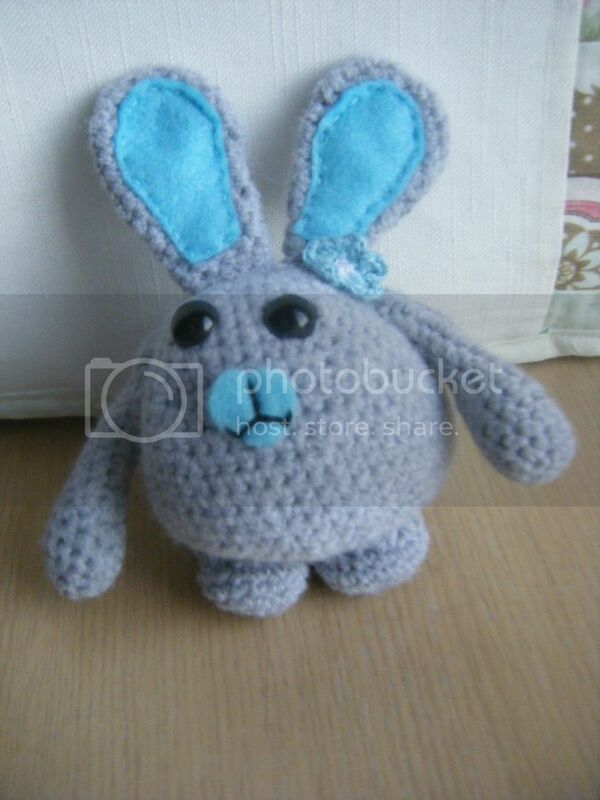 I made her smile too, the pattern has her with a sad mouth, but I don't like to see sad bunnies. She's so cute! Love her. Mavis is a chubby little cutie - she looks very huggable! Badly worded patterns set my teeth on edge too! She is a real cutie! Loving the mouth, real cute, can't wait to see the other 7.